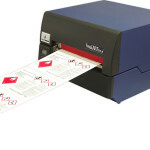 Impact Printers - EP Technology Inc. The Compuprint 9000 family is designed to meet the most demanding requirements of today’s applications while offering unmatched performance in Windows and graphic printing environments. The ideal solution for mission critical requirements, with the full flexibility to support a variety of forms and documents. Compuprint 9065 adopts enhanced and improved electronic and Mechanical solutions to offer an unbeatable print performance level. 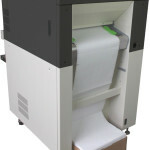 Compuprint 9080 offers an unbeatable print performance level thanks to improved electronic and mechanical solutions. Compuprint 9300 adopts enhanced and improved electronic and mechanical solutions that move the real print performance to an unbeatable level.